WASHINGTON, D.C. — Members of the Senate Armed Services Committee today questioned the Navy’s ability to ensure a smooth transition from the Littoral Combat Ship to the frigate program, given that current plans would force the Navy to award something akin to a block buy contract for 12 ships even before the first frigate is built and tested. During the opening statements of what would become a heated hearing, Government Accountability Office Managing Director of Acquisition And Sourcing Management Paul Francis suggested that lawmakers would lose much of their oversight ability for the frigate program if they signed off on the Navy’s request for a block buy of frigates, expected to be included in the service’s Fiscal Year 2018 budget request. “[The frigate program] is not going to have milestone decisions. It’s not going to be a separate program. There won’t be a milestone B. You’re not going to have Nunn-McCurdy protections for the frigate itself. You won’t have a selected acquisition report for the frigate itself. And some of the key performance parameters, as they relate to the mission modules, have been downgraded to key system attributes, which means the Navy and not the [Joint Requirements Oversight Council] will make decisions on what is acceptable,” he warned the lawmakers. Several senators pounced on this statement, pressing Navy acquisition chief for more information on the transition plans. 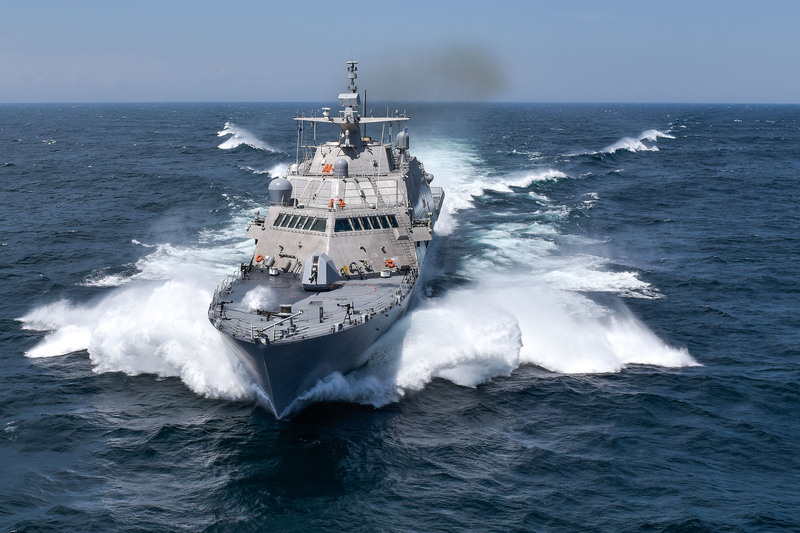 Stackley said the two LCS contractors, Lockheed Martin and Austal USA, are already working on their frigate designs ahead of the Navy releasing an official request for proposals next summer. The exact details of the “block buy” plan are not yet decided and would be outlined in the FY 2018 budget request, Stackley said, with the Navy aiming to buy these ships as affordably as possible. “The competitive downselect would be based on best value associated with the detail design by the shipbuilder,” he said, though no ships will be built or tested before the Navy has to commit to a single contractor. Francis, though, in his opening statement advocated against Congress approving any kind of block buy in FY 2018. When Sen. Mazie Hirono (D-Hawaii) brought up the block buy issue later in the hearing, Francis said the frigate modifications would add at least $100 million to the cost of each ship, compared to the LCS design, and advocated requiring a formal Milestone B approval process for the frigate instead of considering it a follow-on flight upgrade that wouldn’t need its own formal milestone decision.